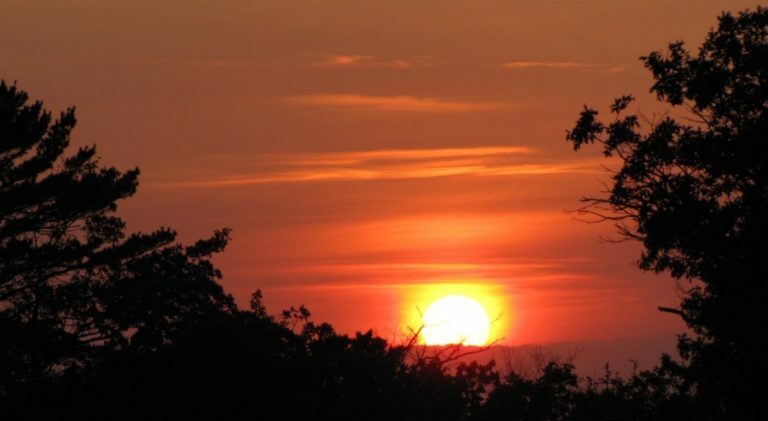 There appears to be a scientific basis for the rhyme, as sunlight passing through dirty air is dispersed differently than clean air, meaning red sunsets often do predict nice weather for the next day. Smoke from wildfires in the Western U.S. and Canada can sometimes be carried thousands of miles eastward. As a result, on days when those of us in the Great Lakes Region enjoy beautiful red sunsets, we can also look forward to good weather on the following day. Since the mid-1980’s the average annual number of Western fires has remained relatively flat, but the average annual acres burned has tripled due to a large increase in average fire size. Over that same timeframe, the annual cost of federal firefighting has grown tenfold. More than 50% of the U.S. Forest Service annual budget is now spent on wildfire, compared to just 16% in 1995. But these costs pale in comparison to the cost to those directly impacted by the wildfires who all too often pay with their homes, their property and occasionally with their lives. Some point to global warming as the main reason for the increase in annual wildfire impact. But people living in rural Western communities recognize that decades of reduced timber harvests and increased roadless areas have effectively turned forests into large tinderboxes just waiting for an ignition source. Quite simply: More fuel + fewer roads = bigger fires! The Great Lake Region has largely been spared from devastating wildfires in recent times, but this region was home to the 1871 Peshtigo Fire, the deadliest wildfire in U.S. history. That fire killed an estimated 1,500 people and burned some 3,000,000 acres in Wisconsin and Michigan. People living in the Great Lakes Region need to know that there is still a potential for large wildfires to occur under the right conditions. Forests need to be actively managed so that timber harvests and prescribed burns control the age class, species composition, and density in a way that makes them less likely to catch on fire and to reduce the likelihood of any such fires getting out of control. The next time you see a beautiful red sunset in the Great Lakes Region, think about the people who are dealing firsthand with the horrific consequences of the Western wildfires. And recognize that our region is not immune to the threat from large wildfires. Do you believe every Federal law is perfectly written and perfectly implemented? Do you believe flawed Federal regulations should be updated and improved when better information, processes and science are available? Earlier this month, two federal government agencies responsible for managing and protecting wildlife announced proposals to update regulations under the Endangered Species Act. For context, the ESA was written and signed into law in 1973 by Richard Nixon, a year of bell-bottom jeans, disco music and the end of the Vietnam War. The last major updates to the law were made in 1982, more than 30 years ago. And the regulations haven’t been updated since 1986. The goal of the update is simple: Implement the ESA more efficiently and rigorously, making sure that conservation efforts occur where they are most needed. After receiving input from the public, the two agencies spent months working through a collaborative process with professional biologists and wildlife experts (not politicians) – who worked for both Democratic and Republican administrations – to identify what works best and what needs change. The public now has another chance to review and comment on the proposal. These are serious and scary threats for Americans, who take great pride in being responsible stewards of our public land, water, air and wildlife populations. So, what’s really going on? Let’s start with what the proposed regulation changes don’t do. Despite alarmist claims, the proposed changes do not eliminate or reduce existing protections for any threatened or endangered species. None. The proposed changes do not prohibit or restrict any species from being listed as threatened or endangered under the ESA in the future, or from receiving necessary federal protections to avoid extinction. In fact, the proposed changes do not alter the Endangered Species Act by one single word – an action only Congress can take. Rather, this exercise is exclusively about improving the process and implementation of the ESA by updating old regulations. First, they would allow the U.S. Fish and Wildlife Service to design species-specific plans and protections to replace the current one-size-fits-all approach for all species listed as threatened. This change would bring the service’s approach to threatened species in line with NOAA Fisheries, which protects anadromous fish like salmon and has successfully used this model for decades. It will also allow conservation efforts and resources to be targeted where they will make the most difference. Second, the revised regulations establish concrete goals and clear criteria for determining whether a species has recovered and is no longer in need of protection under the act. This is a step forward to make sure that government efforts, money and time are focused on species that most need them. This change will increase the effectiveness of conservation efforts under the ESA. Third, when multiple government agencies are involved in wildlife management decisions, the proposal would clarify what information is needed to ensure government actions do not jeopardize listed species or destroy critical habitat. The proposal would also put a time limit on government consultations, so that federal projects and recovery actions are not left in limbo for years or decades, which doesn’t benefit any species. Undeniably, the ESA has led to some conservation successes. At other times, its implementation has led to devastating impacts on rural communities and economies without much conservation benefit to show in the end. 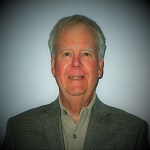 Instead of politicizing modest process reforms to endangered species regulations, those seriously interested in wildlife conservation and protecting the natural resources we all value have a rare opportunity to work together for a common objective: Ensuring federal rules with the goal of protecting wildlife populations are effective, modern and based in science – not in ideology and emotion. The latter will not help or save imperiled species. 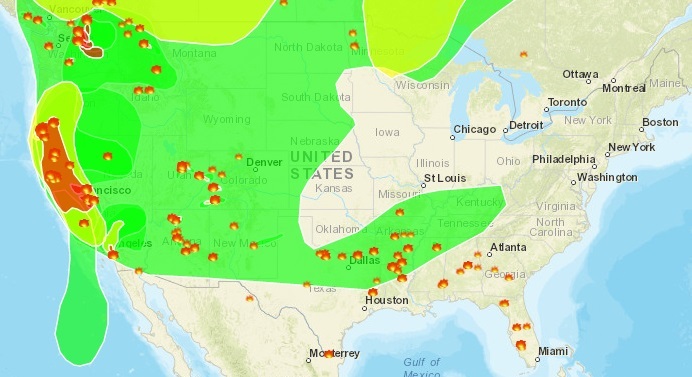 Visit NOAA’s real-time fire and smoke mapping tool by clicking here. Healthy Forests, Healthy Communities offers a free service that delivers the latest forestry and public lands management to email inboxes every business morning. Click here and select “join our mailing list” to sign up and access our rolling 20-day news archive. You are currently subscribed to a mailing list of Healthy Forests, Healthy Communities. If you wish to unsubscribe, please click here.